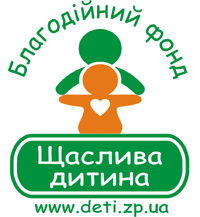 Charity foundation Happy Child was established in May 2007 by a group of volunteers, residents of the city of Zaporozhye, who have been assisting orphans and children with cancer for a long time. 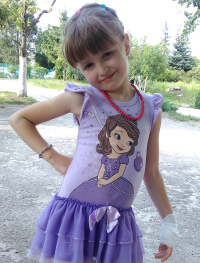 The Foundation's mission is to provide effective help to the neediest children of the Zaporozhye region. Every day the staff and volunteers of the Foundation help to save someone's life, to fulfill someone's dream or just let a person know that he is remembered and cared about. 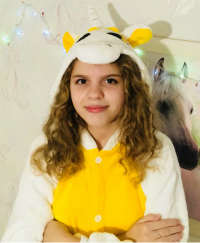 Our foundation was established as a union of like-minded people who have decided to help the most destitute and needy children of the Zaporozhye region. Young residents of Zaporozhye who haven't been associated with any political party, oligarchy, or business structures became founders of this Foundation. Payment for medicinal drugs and services that are not funded from the state budget. 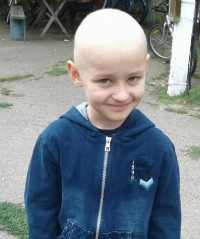 Assistance in finding the procurement of specific medicines needed to treat children with cancer. 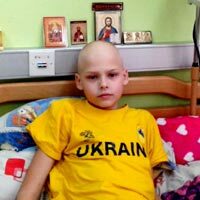 Raising funds for treatment abroad for those children who cannot be treated in Ukraine. Financial support of low-income families with sick children for food, clothing, and toys for these children. Purchase of the latest medical equipment for the Zaporozhye Regional Children's Hospital and other medical institutions. Psychological, informational, and spiritual support of parents and their children. Advocacy for seriously ill children in state institutions when we approve regional and city budgets. Publication of materials on our website regarding family placement of orphans, such as our section "Profiles of orphans who need a family". Social advertising intended for the family placement of orphans. Publication of informational booklets, brochures, and magazines regarding family placement of orphans. Documenting factors that slow down the transition process for orphans from the boarding schools system to foster families. Promotion of national adoption, transparent procedures for international adoption, and establishment of foster homes and family-type homes. Creation and support of community of adoptive / foster parents, guardians, and tutors in the Zaporozhye region and throughout Ukraine. Educational program for older orphaned children (computer science, English classes, preparing them for entrance to universities). Leisure activities of orphans (hiking, excursions, traveling, concerts, contests and tournaments). 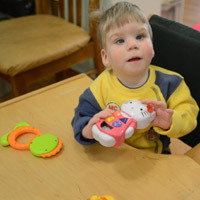 Protection of the rights of seriously disabled children, orphans, providing these children with decent living conditions, realization of their rights for family placement. Continuous monitoring of needs of orphanages in the Zaporozhye region. Ongoing support of Foster / adoptive family needs. Sociological researches regarding orphan issue. Providing financial assistance in the spheres which, in our opinion, are not funded enough by the state (sports goods, educational games, items for leisure activities, education, expensive medical examinations and treatment of orphans). The "HelpUs" project: "Happy children - happy adults"
We believe that over time, this project will turn into a foundation to help and support adults all over Ukraine who happen to be in a tough situation. We believe that there are many people who understand as well as we do that there can be no happy children without happy adults. The Foundation submits full reporting about donations received. Special-purpose donations are used only according to their intended purposes. We try to minimize the fund expenses and most of them are covered by our regular contributors. Salaries of the fund staff are fixed and do not exceed the average salary in the city of Zaporozhye. The Foundation is a non-political one, completely independent from large corporations, political parties, and government structures. The Foundation tries to adhere to the principle of the Bible, "When you do alms, let not your left hand know what right hand is doing". At the same time, we try to attract media attention to the problems of needy children, so we invite the journalists to some of our actions. The Foundation is a non-profit organization and does not try to use its non-profit status for indirect benefit of the members of the fund. Foundation staff includes people of faith, though of various religions. However, our belief in common spirituality that unites all human beings does not allow us to abuse the trust of our sponsors. The Foundation is funded through donations of ordinary citizens, organizations, and other grants. The Foundation follows to the principles of "smart charity" which strives for elimination of the causes of problems to the extent possible rather than merely treating consequences. We do our best to ensure that every donated hryvnya/dollar/euro brings maximum benefit. Donating to the foundation accounts is not our prime purpose or a way to show how great we are. Donors are offered direct ways to help a needy child or orphanage, as we do not hide accounts details or addresses of parents or orphanages. In this case, we provide information service only. We happily communicate and cooperate with everyone who wants to make the world a better place, changing it to what it should be. 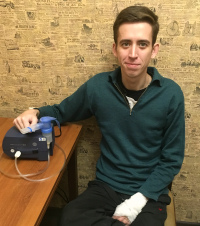 If you wish to join our team, please read the article "We need volunteers!" and follow your heart.